This fun elephant card is bright and funny, perfect as a girl's birthday card or cute new baby card. 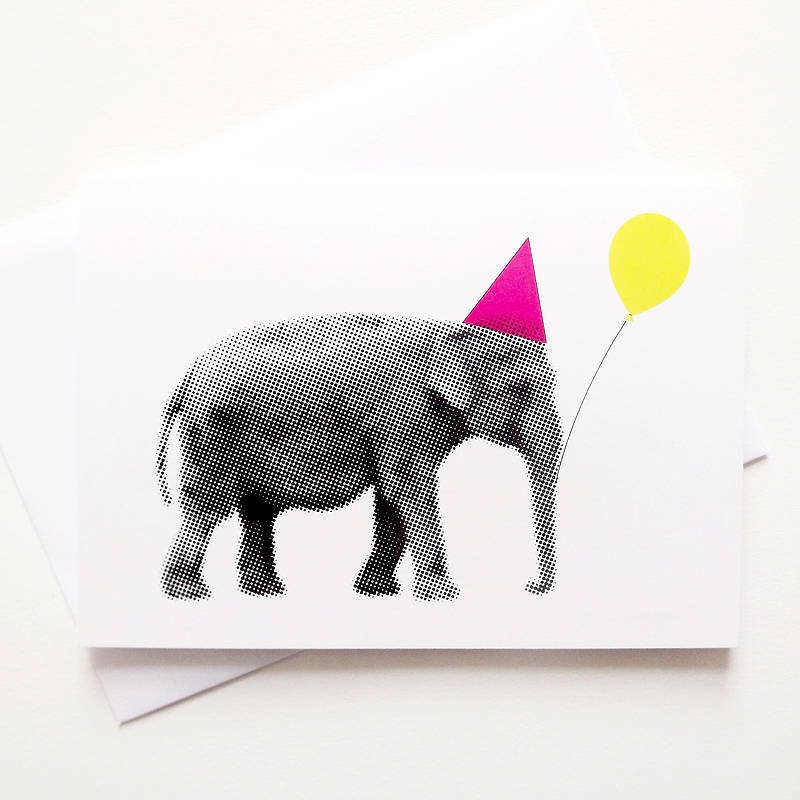 This fun and quirky elephant card uses our own animal photography! 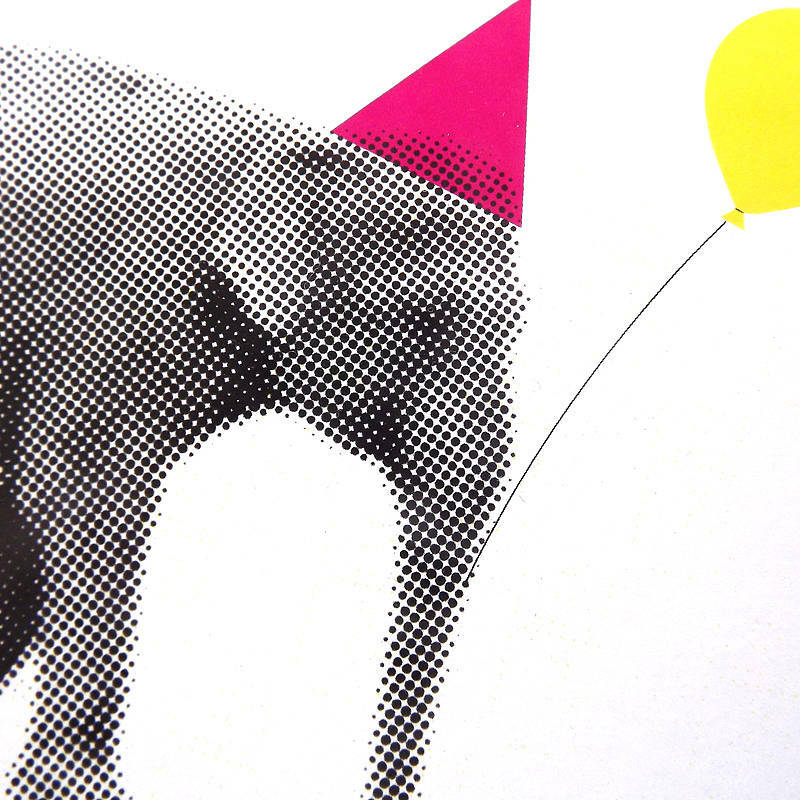 This beautiful Elephant has been turned in to a black halftone and we've given her a magenta party hat and a yellow balloon. She's having a great time! A brilliant birthday card for all ages. We also have a Lion and Seagull Party Animal greetings card available in the shop. This cute elephant card is printed on Trucard, an FSC Certified product sourced from carefully managed and renewed forests. This card is smooth on the outside and matt on the inside.Supplied with a white envelope and sealed in a protective cello bag. This product is dispatched to you by hello DODO.